Steak cut french fries fried until golden brown; then topped with brown gravy and mozzarella cheese and baked until the cheese is melted and gooey. A classic NJ diner favorite! The town I grew up in was very small and there weren’t a lot of things to do to keep us teenagers out of trouble. We had a movie theater and a diner. That was about it. And the diner was even in a different town, about 10 minutes down the highway. So after gathering with friends during the weekends either at someone’s house or after the midnight movie, nine times out of ten we would all wind up at the diner (we didn’t have a driving curfew back in the mid-80’s 😉 ). Once there, dining fare would consist mostly of burgers and Disco Fries. The greasier the better! As I got older and my eating habits became a bit healthier, these late night trips to the diner became few and far between. And even when we do go to the diner now, it’s mostly for breakfast. Going to the diner has been a tradition for many years and for so many families in our area. It’s just the thing kids around here do without a second thought; just like going down the shore. Second nature. Right of passage. In fact, the first time I went out of the state and wanted to go to a diner, people looked at me like I had three heads. What’s a diner? Thankfully (and with a little help from Guy Fieri over the years), more and more states are opening the classic diner in their areas as well. What’s not to love? Most diners serve breakfast, lunch and dinner options 24/7 so there is something for everyone. Our oldest daughter just finished up her third year at Penn State and is home for the summer. Though she cooks for herself while at school and there is a local diner near her residence, they don’t serve Disco Fries so she craves them whenever she’s home. There have been times I’ll come home and both girls would be gone. When I text them to ask where they went, their usual response would be that they went to the diner to get fries. Ahh, to be young again and eat whatever you want without worrying about how many calories something is! Making Disco Fries has been on my list to make for quite some time, but honestly, I just keep forgetting about it. So after she put in a full day of Chemistry and lab work at a local college where she’s taking summer classes, I surprised her by making a tray of these fries. 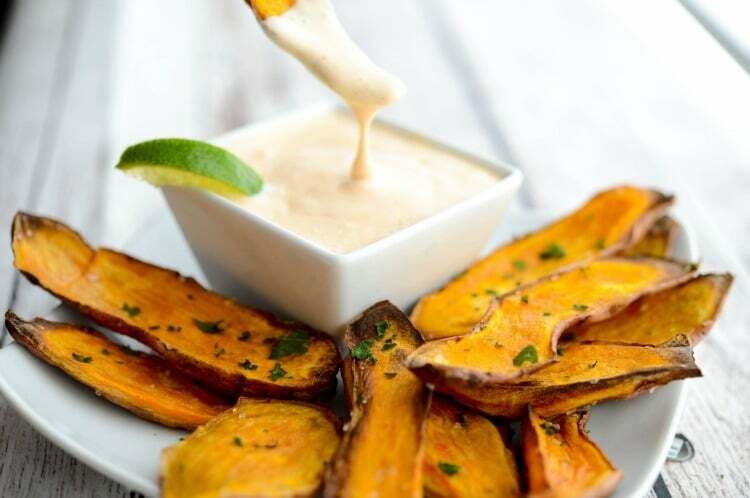 For this recipe, you’ll need frozen steak fries, brown gravy and shredded Mozzarella cheese. 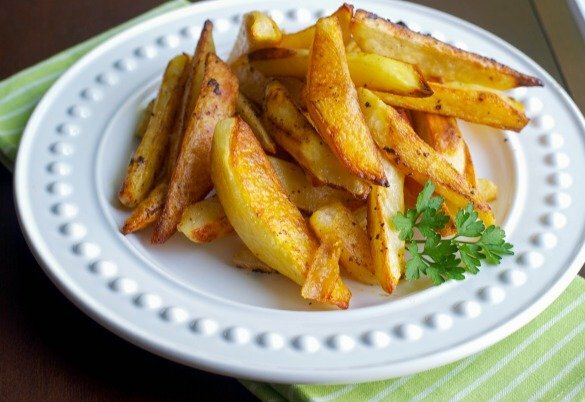 First, if you’re unsure as to what steak fries are, they are potatoes that have been cut down into thicker cut wedges. Technically, you could make these using fresh potatoes and cutting them down yourself, but the local diner definitely uses frozen so I was going for authenticity here. It also saves a lot of time. Start by frying the potatoes in oil until they’re lightly brown on all sides and crispy; then drain on paper towels to remove any excess oil. You want to make sure they’re well done so that once you add the gravy, the fries don’t become too soggy. 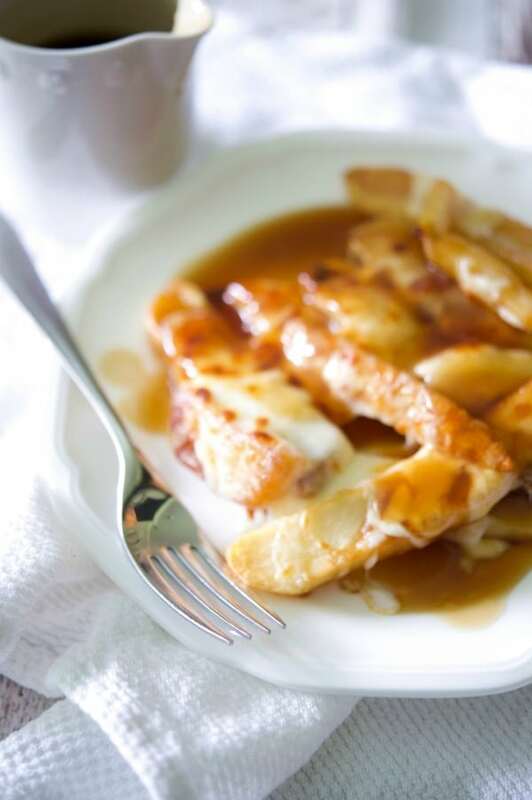 While the potatoes are cooking, you can make your gravy. The gravy is usually beef based and I made mine with water, beef bouillon cubes, cornstarch and gravy master to give it that dark caramel color. Next, add the potatoes to a baking sheet and sprinkle on the cheese. Place them in the oven under the broiler for 2-3 minutes until the cheese has melted. 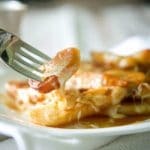 Remove the pan from the oven, place the potatoes on a dish and pour the gravy over the top. 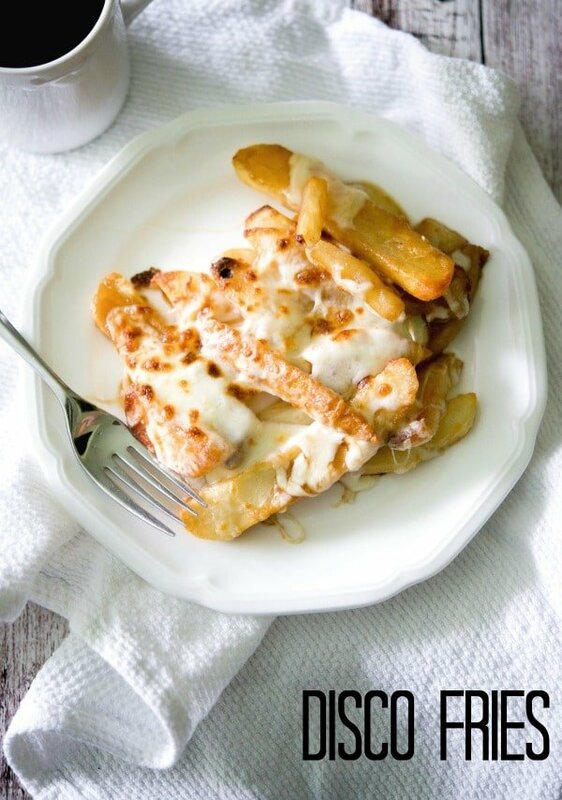 This has to be the easiest recipe for Disco Fries and my kids (and husband who snuck a few bites) loved them! In fact, our oldest daughter said they were definitely a close 2nd to the local diners’ fries. Our younger daughter didn’t get to eat them fresh out of the oven because she wasn’t home, so she reheated them later and said though they tasted good, they were a bit too soggy so I recommend eating these as soon as they’re made. ~Enjoy! Heat oil in a large frying pan and fry the potatoes in oil until they're lightly brown on all sides and crispy; then drain on paper towels to remove any excess oil. (You want to make sure they're well done so that once you add the gravy, the fries don't become too soggy. While the potatoes are cooking, you can make your gravy by adding 1 cup of water and the bouillon cubes to a small saucepan. Bring it to a boil and allow the cubes to dissolve. Combine the cornstarch with the cold water; then add it to the broth and stir until thick. Add the gravy master and remove from heat. Next, add the potatoes to a baking sheet and sprinkle on the cheese. Place them in the oven under the broiler for 2-3 minutes until the cheese has melted. 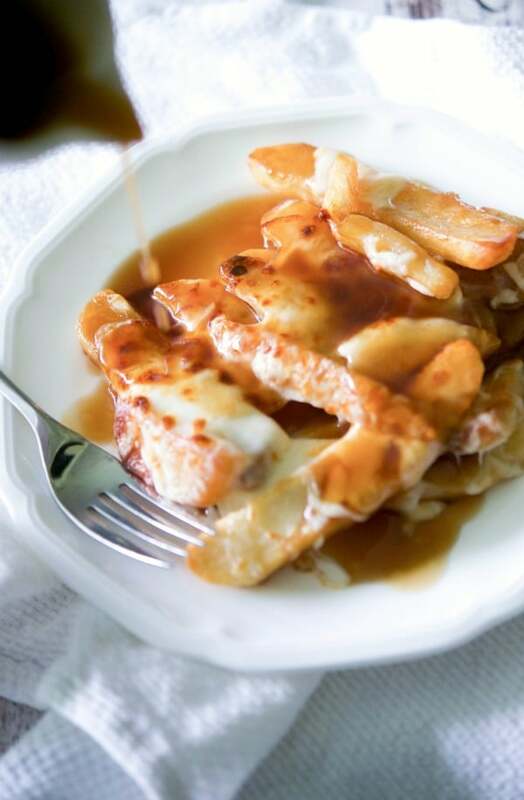 Remove the pan from the oven, place the potatoes on a dish and pour the gravy over the top. I’m sorry, you can take down my other comment. I mostly just needed you to know that people don’t call disco fries poutine and vice versa. I didn’t want anyone to call you out or be mean, and then I ended up doing that. Poutine and disco fries, equally delicious but different. 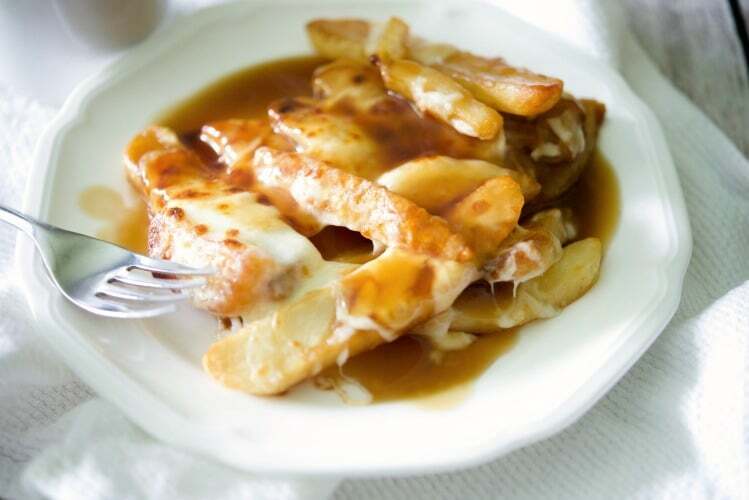 they do both contain fries cheese and gravy, but there is a huge difference between cheese curds and shredded cheese. I do agree, and again I apologize, you are right no one makes them the same. 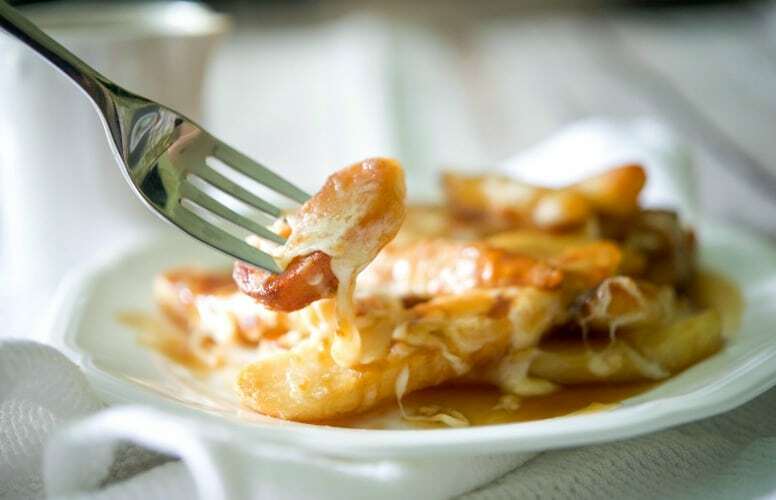 I was just referring to the part of your post where you say “You call them poutine, but here in Jersey we call them disco fries.” Either way, yours look delicious, and I am going to make them for my family tonight, to try a different way.